Not having to worry about power, network access, and server maintenance? It’s no wonder there’s an incredible interest in cloud computing. In this article, I’ll share a list of 20 cloud-based Learning Management Systems you should definitely take a look at. Don’t forget to check it from time to time, as I’ll be updating it regularly! Moving to the cloud is a bit of a no-brainer. 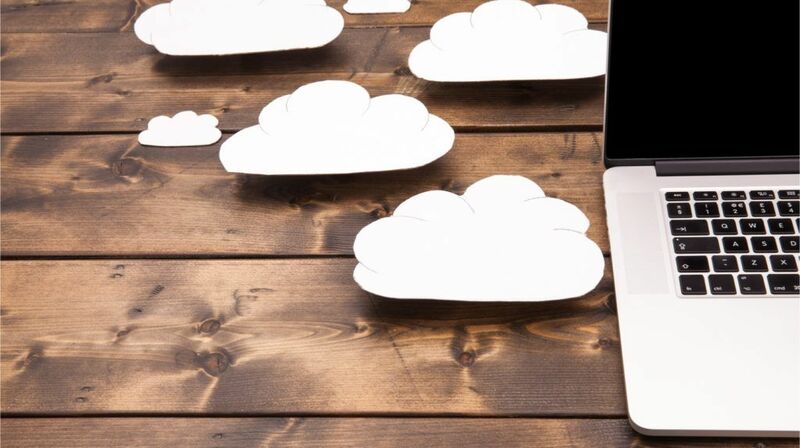 Unless you have an unreliable internet connection, cloud-based applications allow you to access the data you need, when you need it – which is crucial when it comes to corporate training. The question is: which cloud-based Learning Management System should you go for? Discover the Top Cloud LMS Software and choose the one Tailored to your Business Needs! Instead of spending weeks researching products that won’t work for you, take a look at our list of the top cloud-based LMSs in the market right now. I bet you’ll find it extremely helpful. If you want to align all enterprise-wide learning initiatives to skill, upskill, and reskill your employees, look no further. Adobe Captivate Prime is the next generation LMS that delivers customized, trackable, just-for-me experiences across multiple devices. This scalable enterprise solution offers a powerful, reliable experience that comes with a guarantee: Abode. Litmos is a leading Learning Management System that both trainers and learners love to use. With this cloud-based LMS, you can engage learners anytime through native apps for Android and iOS, extend your ecosystem by using prepackaged connectors and REST APIs, and protect your data through enterprise-grade security. No matter if you are using your LMS for employee, customer, compliance, or channel training, Litmos has a solution fit for your company. Super easy and enterprise-friendly, TalentLMS is built to increase your satisfaction and fun from online learning and training. The customizable to your needs learning platform allows you to make your Learning Management System look the way you dreamt it and enables you to build stunning courses with minimum time and effort. Furthermore, it provides simple and comprehensible analytics about everything that happens inside your eLearning environment. Need to say more? Looop puts the learner first by delivering instant on-demand training to your employees, whenever and wherever they need it. This flexible platform allows you to make your LMS a valuable extension of your business by branding it with your logo and colors, easily accessing and formatting resources for any mobile device, and getting instant insights with powerful data analytics. All in all, Looop makes it easy to get things done. Known for its simple yet powerful user interface, Docebo LMS uses learning-specific Artificial Intelligence algorithms to produce deeper learning experiences and help you align your organization’s training needs with those of your learners. If you want to make it easier for your audience to discover content that means something to them, and keep them coming back for more learning, you might not want to look elsewhere. This learning platform’s powerful features include engagement tools, learning paths, a learner dashboard, a site and page builder, integrated authoring, awards and badges, webinar integrations, B2B content licensing, and 360-degree reporting. 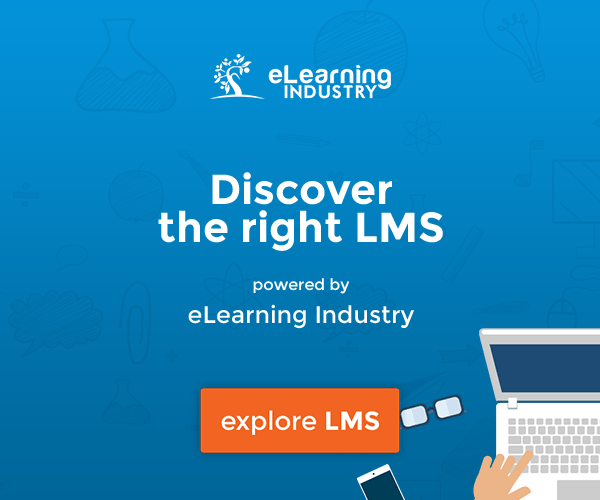 Created by multi-awarded Thought Industries, one of the fastest growing online learning SaaS companies, this cloud-based LMS will help you grow your learning business by offering you all the functionality you need to create, manage, and deliver online learning experiences globally. Working with 360Learning means gaining access to a fully customizable eLearning platform which is compatible with over 2,500 web formats and has multiple social and collaborative features, comprehensive administration, statistical reporting, eCommerce, and personalized support. The icing on the cake? If you like being able to test something before purchase, you can make the first course of each training program available free of charge. One of the fastest growing LMS vendors on the market, LearnUpon has created a platform that is quick to setup, easy to use, and instantly scalable. Its features include gamification, eCommerce, SCORM&xAPI, and the user interface is clean, modern, and responsive. A huge benefit is the company’s customer-centered culture, which translates to a) regularly released new features, based on feedback from customers, and b) an amazing, multi-award winning, 24/7 customer support team. If you want to boost your competitive edge, iSpring Learn is the ultimate Learning Management System to do just that. This easy-to-use cloud-based LMS allows you to not only jump-start online learning in 1 day, but also track the results of different departments, monitor learner progress, and keep an eye on the individual performance of each learner. On top of that, you can find a fully integrated authoring tool, unlimited storage space, and gamification features. eFront has been extensively tested in heavy environments under excessive stress and in all possible scenarios. In communication tools alone, they offer: forums, blogs, wikis, chat, collaborative content comments, personal messages, course announcements, and a calendar. Primarily focused on functionality, this enterprise LMS has a number of extension modules and an expandable architecture that makes it a perfect fit for demanding cases and learning scenarios. Bridging the digital divide between learners and learning, GnosisConnect offers best-in-class features for learning management and administration. This eCommerce-enabled LMS was designed to provide users with the best user experience, so they can enjoy every moment in their learning journey. Its powerful features are available across different user levels – administrators, business unit heads, managers, and learners. An LMS designed to solve every training challenge – from new employee orientation, product education, and customer service training to compliance, leadership development, and new process & system rollout. If you’re interested in lasting behavioral change with multi-dimensional training and development programs, Asentia is the code word. With advanced, award-winning features at a lite LMS price to fit any budget, this SCORM LMS offers you a multilingual platform with an easy and intuitive user interface and world class support. You can access this system from any device at any time and have a unique URL, custom branding, and built-in eCommerce. Over 3 million users across the globe can’t be wrong. An intuitive, user-friendly LMS for both administrations and end-users that allows you to use pre-built or customize onboarding/training templates to use both onsite and online, track learning and development progress, and survey your workforce to turn feedback into actions. Among the many benefits of this cloud-based solution is the advanced customer support team that reflects eloomi’s fantastic company culture. Whether it's your first time with a Learning Management System or you are looking to replace your old one, Agylia brings you all the benefits of the very latest digital learning technologies. eLearning, microlearning, mLearning, videos, and performance support tools, all in one powerful and fully branded learner portal, help you support not only your employees, but anyone outside your organization: customers, partners, distributors, resellers, and suppliers. A rich LMS is the key behind a great training program, but if you're managing a partner training program you've got special needs – and this is where LatitudeLearning comes in. If your organization’s training challenges include a distributed workforce, owners that own multiple units, and partner networks supported by multiple field organizations, you need more than a regular LMS. Designed especially to manage partner training programs, LatitudeLearning also supports English, Spanish, French, Portuguese, Italian, Chinese (simplified), and German. Flexible, validated, adaptable, and customizable, the eLeap LMS has a great advantage: It can be ready to launch in minutes, as there’s nothing to download, no hardware or software to maintain, and no staff needed to manage it. It also has an intuitive user interface and an extensive library of over 850 ready-to-go training courses which you can easily deploy to your team. Creating and selling courses are two different ball games – this is where ScholarLMS’ eCommerce capabilities come in and empower you to promote and sell your content easily and efficiently. With over 100 core LMS features, this system offers unparalleled scaling and customization capabilities for all. This way, when your startup grows into a Fortune 500 titan, there is no gap to fill. You can rest easy with a fully managed LMS and eLearning support team at your service. If you’re interested in a mobile-friendly Learning Management System that supports eLearning, instructor-led training, and blended learning, know that Administrate does all that and is fully SCORM compliant. Furthermore, in addition to the progress reports and charts that come standard, in this LMS you have access to all of your data via an incredibly powerful filtering and reporting engine. Best of all? Apart from English, Administrate supports Hindi, Spanish, Japanese, Arabic, Russian, Chinese, German, Portuguese, and French. Need additional help finding the right Cloud-Based Learning Management System? You can get an LMS quote tailored to your needs in as little as 3 minutes. This simple 5-step process will help you find the Learning Management System that works best for you. Whether it's your first time with a Learning Management System or you are looking to transition from your current Learning Management System, we are here to help.